Hospital supply chains may be looking at making some pricey investments soon due to a revived concern about "superbugs," reported Health Care Finance. Superbugs are no new issue but an Executive Order by President Obama in Fall 2014, prompted a White House Summit in June regarding the use of antibiotics in livestock and fighting the superbugs this livestock can cause, noted the source. 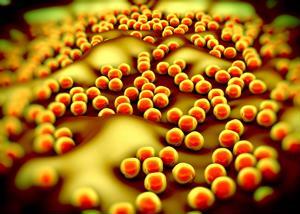 According to The Mayo Clinic, superbugs are strains of bacteria that have become resistant to modern-day antibiotics. The creation of these strains is a natural occurrence in evolution; these superbugs adapt to medicines that are intended to wipe them out and then change their makeup in order to survive. As such, many treatments that have been created become less effective, and, in the worst cases, completely ineffective, explained The Mayo Clinic. The Obama administration has set plans in place to fight the continued spread of these superbugs over the next five years. The Executive Order also contains provisions to reward successful research for technology that can detect and prevent these strains of bacteria, reported HCF. Hospitals have had policies in place to prevent superbugs since they began sprouting up, noted the source. These measures were based on a set of national standards but they vary from hospital to hospital. However, new materials that help with prevention and detection have the added option of compounding these previous strategies. Supply chain purchasing management departments have the opportunity to invest in these devices and other measures that can protect current equipment from harboring these bacteria, explained HCF. The investment will be hefty and may cause a blow to spend management projections. However, Director of Business Development at Sciessent Lise Moloney pointed out that the investment will result in long-term cost reduction, reported HCF. "From a supply chain standpoint, you are looking at potentially higher costs to buy devices with antimicrobial additives," explained Moloney. "But hospitals need to think of what having a new way of preventing antibiotic-resistant infections can save them." Purchasing management and supply chain management leaders will undoubtedly need to meet to discuss the pros and cons of this decision. However, the price seems to be worth the potential for disease prevention.